INTERNATIONAL PORTFOLIO´S FORUM It´s a meeting between photographers and a group of international personalities: museum directors, gallerists, curators, art collectors and publishers. It will be held at the Salón Dorado of La Alianza Francesa (Córdoba 946) from August 6th to 10th, 2018. It is a 20 minutes personal interview where the artist shows his work to the chosen reviewer. his gives them not only the opportunity to spread their works, but also to receive a feedback. A scolarship for the National Portfolio´s Forum, Interfestival 2019. (B) Scolarship doesn´t include travel costs and hotel room. You can apply from HERE, choosing the reviewers. The sittings will be settled by application order. When a reviewer has no more turns, you will be offered someone who still has an open spot. You can apply to portfolios@encuentrosabiertos.com.ar , saying which 10 or 5 reviewers you choose to show your portfolio.The application will be confirmed against receipt of payment. Is there a preselection process? No. The application is open to all photographers and students. There is a maximum capacity that will be filled by application order. Do the application has a deadline? Yes, when the the reviewers are full. You only have to send your contact information, reviewers chosen and payment receipt. How is the schedule for the interviews chosen? The schedule is organized by the reviewers availability and by application order, considering the personal requirements of each attendee. The interviews are personal and individual, they last 20 minutes. About 20 and 30, please no more than 40! Yes, but we sujest you to tell the reviwer that you have two before your presentation for better use of the time. In which size should I present the photographs? What ever size you prefer, we recommend not bigger than 50x60 cm. Do the photos have to be from the same series? It’s better if you can show a complete work. Can I present a digital portfolio? It can be digital, in that case you have to bring your own device. Formado en la New England School of Photography- Boston (USA). Su obra forma parte de las colecciones de Fotografia Contemporánea del Museo de Arte Moderno de BsAs, Museo Nacional de Bellas Artes, Museo Nacional Castagnino (Rosario), y Museo de Arte Latinoamericano-colección Costantini, Museo de Bellas Artes Franklin Rawson de San Juan y colecciones privadas argentinas y del exterior. Asesor de la Fotogaleria del Centro Cultural R.Rojas/Universidad de Buenos Aires, 1995/2013. Coordinador del área de fotografía de dicho centro. Docente invitado del Departamento de Arte de la Universidad Torcuato Di Tella (BsAs). Reviso cualquier tipo de proyectos artísticos y autorales. Curator of the Galería de Arte Buenos Aires Sur. A cargo de la galería de Arte Buenos Aires Sur desde Enero de 2008. Dirigió la artística del Parque de la Ciudad en 2007. Interés en trabajos artísticos. No fotografía comercial. Egresada de la Carrera de Artes Visuales Instituto Regina Pacis. Actualmente trabaja en Rolf Art Gallery, galería especializada en fotografía y sus límites. Eder Chiodetto is a Master in Communication from the University of São Paulo, journalist, editor, professor and independent curator, having made about 100 photography exhibitions in Brazil and abroad. He currently coordinates the Atelier Fotô Center for Advanced Studies in Photography, in São Paulo, is the director of Fotô Editorial (www.fotoeditorial.com) and curator of photography at the Museum of Modern Art of São Paulo (MAM-SP). Chiodetto is the author of the books "Geração 00: A Nova Fotografia Brasileira" (Edições Sesc), "Curadoria em Fotografia: da pesquisa à exposição" (Ateliê Fotô / Funarte) and "O Lugar do Escritor" (Cosac Naify), among others . He prefer to analyze portfolios of author essays, documentary and experimental photography. I do not read portfolios of advertising or fashion jobs. Eder Chiodetto can help photographers in the conceptual discussion of author's work and also in editing. I organize exhibitions in which I can eventually include works that I know in the readings of portfolios that I do at festivals. Enrico Stefanelli is a photographer, journalist, curator and teaches photography in workshops. He is the founder and artistic director of Photolux Festival the biennial of photography in Lucca. He has curated many exhibitions for the Photolux Festival and Cadets by Paolo Verzone for “Les Rencontres de la Photographie” in Arles. He has been appointed as an expert for portfolio reviews for: Les Rencontres d'Arles - CENTER - Kaunas Festival - Eyes in Progress - Fotofestiwal – Lodz - 16e China International Photographic Art Festival – Zhengzhou – Fotografia Europea - Backlight Photo Festival – Tampere - FotoFest – Houston – Auckland Festival of Photography. He has been appointed as member of the Jury for: - Kaunas Festival - Lens Culture - The Manuel Riverta-Ortiz Foundation Grant - FOTODOC Center for Documentary Photography at Sakharov center - Photolucida - Gomma Grant. He’s member of the Nominating committee for the Joop Swart Masterclass at World Press Photo Foundation No problems in see any kind of works. Enrico Stefanelli can help the photographer´s works, sharing with galleries, magazines and curators of festivals. Exhibitions Coordinator Art Museum of the Americas, Washington. Fabian Goncalves Borrega is primarily interested in reviewing developed and innovative bodies of work. All types of imagery are welcome for review, from documentary to landscape, still life to conceptual, including artist books. Aside from offering criticism and critique of the photography itself, its technique and conceptualization, Mr. Goncalves Borrega will evaluate whether the artworks are suitable for a solo or group exhibition at the AMA Photo Gallery. As part of the Organization of American States (OAS) Art Museum of the Americas (AMA), the Photo Gallery serves to promote the core values of the OAS by providing a space for dialogue and learning, highlighting themes such as democracy, development, and human rights. Teacher working out of Toronto, Canada, with over 80 international exhibitions, including more than 35 solo shows. His work is in the collections of museums across the world. A teacher and practising psychotherapist for over twenty years, Rodick designs and leads workshops on applying the psychology of creativity to help artists improve their individual creative process and work through blocks to creativity. He also works with individual artists on these issues. He don´t have any problem in review any kind of work. Frank Rodick can offer feedback on the following: aesthetic and technical issues relating to the work photographers present in their portfolio; issues of career development and creative process; portfolio presentation. Our time is best used when the photographer comes comes with specific questions and goals regarding what they want to get out of the review. Gestora y curadora de muestras. Directora artística de Galería Artemio. Prof. de Artes Plásticas- Profesorado y Lic. Nivel Inicial Facultad de Ciencias Humanas. Depto. de Educación UNCPBA. Profesora del seminario “Problemáticas relacionadas con el área de artística- Área Plástica-Licenciatura de Articulación en Educación Inicial UNCPBA. Realizó publicaciones, artículos de divulgación y participó en reuniones científicas. Actuó como jurado de Salones de Arte. El interés se centra en revisar trabajos artísticos. También incluye trabajos fotográficos que formen parte de conceptos vinculados a la instalación, performance u otros lenguajes y sus mixturas. Puede ayudar a la persona que presenta su trabajo coordinando espacios expositivos que den visibilidad al proyecto en el ámbito estatal y privado. El Festival de la Luz hace saber que lamentablemente Jens Erdman Rassmusen de Dinamarca, ha cancelado su viaje debido a un accidente de tránsito. Afortunadamente está fuera de peligro. Esperamos contar con él en una próxima oportunidad. From 1996 to 2013 he worked as curator assistant, after he worked as curator and finally as Chief curator at the National Museum of Photography in Copenhagen, Denmark. From 2013 to 2016 he was the Director of the Peter Lav Gallery at Copenhagen. Since 2012 he has been working as an independent curator, professor and Art Consultant. Joaquim Paiva has been collecting Brazilian and international contemporary photography since 1978. His collection comprises a wide range of themes and techniques. Parts of it have been exhibited in Brazil and abroad, such as in Buenos Aires in 1997, where he lived for over three years // Mr Paiva donated nearly 2/3 of Paiva’s collection (1963 images) to the Museum of Modern Art in Rio de Janeiro, Brazil. // Paiva has reviewed portfolios at FotoFest (since 2000), Buenos Aires, Rio, and PhotoEspaña Madrid, among others. // His book as a photographer “Foto instantánea- recuerdos de Brasilia” was published by Centro de la Imagen, in Mexico City, in 2013.This work was exhibited at Maison Européenne de la Photographie in Paris in 2016. Paiva new photobook Farce Trick Illusions, images of himself performing for his camera in the 1970’, was published in Rio in 2017. Joaquim Paiva is interested in reviewing most types of work, particularly fine art photography and photobooks, experimental and creative bodies of work in which the photographer is committed to quality, innovative and contemporary issues. Joaquim Paiva will offer critique, provide advice on the photographer´s work and consider acquiring some photographs and photobooks for his collection. Durante más de veinte años me he desempeñado como Conservadora de acervos fotográficos siendo responsable del archivo fotográfico y curadora de la Fototeca de Cuba. En los últimos tres años he sido una de las coordinadoras del evento anual Noviembre Fotográfico. En 2017 colaboraré como asistente del profesor Ricardo Viera en los talleres de preparación de portafolios llevados a cabo en varias provincias de Cuba. He impartido conferencias y talleres relacionados con la historia de la fotografía y curado exposiciones de fotografía histórica y contemporánea. Micaela Saconi. Estudió Ciencias de la Comunicación en la Universidad de Buenos Aires. Desde hace más de veinte años trabaja en distintas áreas de la Cultura y la Comunicación; en organismos de gobierno municipales, provinciales y nacionales , asi como en instituciones públicas y privadas. Ha participado en la organización y coordinación de exposiciones, festivales, congresos, seminarios, así como en la programación o generación de contenidos artísticos.Desde abril de 2016 es la Directora General del Museo de Arte Contemporáneo de la Provincia de Buenos Aires (Museo MAR). Anteriormente realizó la coordinación general del montaje de la muestra FAN de Nora Lezano, así como se desempeño en la organización de diferente Festivales Artísticos ( “Vicente López en Escena” ediciones 2015 y 2016, "Festival Ciudanza" ediciones 2012 a 2015), Biophilia de Bjork en Argentina 2012, BAFICI, FIBA, Buenos Aires Jazz, Tango BA y Buenos Aires No Duerme, entre otros). Es gestor y productor cultural. Entre 1985 y 1999 fue marchand y propietario de la galería de arte Betbeder Espacio de Arte en la ciudad de Tandil. 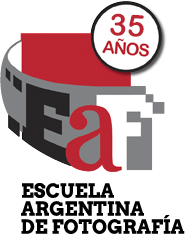 Entre 1999 y 2004 fue Director de Cultura de la Municipalidad de Tandil, Provincia de Buenos Aires. Fue Presidente de la Red Cultural MERCOSUR (RCM) desde el año 2004 hasta el 2006, y de 2006 a 2008 Coordinador Nacional por Argentina para la RCM. Se ha desempeñado como jurado en numerosos salones nacionales y provinciales de pintura, grabado, escultura y fotografía y como curador en diversos proyectos y muestras. Entre el 2004 y el 2007 fue Director de Artes Visuales y Director del Museo Provincial de Bellas Artes Emilio Petorutti, perteneciente al Instituto Cultural de la Provincia de Buenos Aires. Desde 2007 al 2010 fue Asesor de Presidencia del Instituto Cultural de la Provincia de Buenos Aires. Desde 2013 a la actualidad es Director Ejecutivo del Museo Ernesto de la Cárcova dependiente de la Universidad Nacional de las Artes. Es Director del Grupo Babel Arte, donde se ocupa de desarrollar proyectos culturales itinerantes, y está a cargo de la organización de exposiciones, curaduría, investigación y publicación de catálogos y libros. Le interesa revisar la fotografía Contemporánea, con el uso de las nuevas tecnologías.También fotografía clásica. Ruben Betbeder puede darles una posibilidad de exponer. Shen Chao-Liang was born in Tainan, Taiwan, in 1968. He obtained his master’s degree from the Graduate School of the Applied Media Arts, National Taiwan University of Arts. He worked as a Deputy Chief photographer for the Liberty Times, Taiwan, and currently is the adjunct associate professor at the National Taiwan University of Arts. Aside from photographic creation, he also works on photography commentary, research, and curation. Since 2014, he has been the director of the Photo Eye, Young Art Taipei, Taiwan. His major works include Reflections of Nan-Fang-Ao (2001) to the latter series of YULAN Magnolia Flower (2008), Tsukiji Fish Market (2010), STAGE (2011), SINGERS & STAGES (2013) and Taiwanese Vaudeville Troupes (2016). Shen won the Asia Award in Sagamihara, Japan (2004), the Dong-gang Photography Award, Korea (2006), the IPA (International Photography Awards) 1st Place in Professional: Book of Documentary, LA, USA (2012), and the 2015 Wu San-Lien Award, Taiwan, among others. He is interested in all fields of photography. Shen Chao-Liang can bring information exchange and advice on photographic creation and artistic event organization, and experience sharing and observation on Asian culture and recent development.